Integrity and authenticity are both important to me. Those admirable qualities are not often found together in abundance but Ron Bellenot embodies them both. Ron has been my attorney for 25 years. I have trusted him with a variety of legal tasks. His advice is always perfect, as time has proven. I trust Ron. I’ve recommended him to my family and friends and their experiences are all positive as well. I am lucky that I found Mr. Bellenot. He never seems to tire of my calls or lose patience with my legal questions. Ron handled a previous matter with my son, and most recently sat with my wife and I to help explain how a plea deal in one state is administered by your state of residence. Ron’s knowledge of the law helped us make sense of a complicated situation. Ron is a great guy, I had run into some recent trouble with IRS and other debt. He sat down with me and my accountant gave me some great suggestions on how to move forward and what my options are. He was very interested in detail and contacted me with other people Who were also qualified to help. I would recommend Ron to anyone and would not hesitate to contact him if you’re in a Bind and not sure what to do. Ron is by far well qualified and experienced. Simply put Ron and his staff are fantastic. They are very attentive, always responsive and timely, and get the job done with absolute competence. I switched to Ron mid case, from another attorney, and it was the best decision I could have made! Attorney Bellenot provided me with insight that no other attorney was able to. He managed to exceed my already very high expectations in court. Truly a cut above the rest. Ron is very knowledgeable in his profession. He helped me out tremendously with my criminal justice case and let me know exactly how things would work out before they actually did. Genuine man and I would recommend him to anyone. The office staff is helpful and attentive to my concerns. They follow through. I will certainly recommend you to my family and friends. It was very important to me to have someone who listens and explain the legal side. I’m very pleased with this firm. You are worth every penny and more. Both my husband and I were very pleased with your communications regarding our legal issues. The legal service was excellent. Your legal representation exceeded my expectations in every way. After given poor representation by other lawyers, your staff has made a difference. God Bless You in helping me with my bankruptcy case. When I think of all the times you’ve been there for me, I can’t imagine what my life would be like if you hadn’t been in it. Dear Ron and Staff, Thank you again for all your help and patience with me during this time. Just wanted to know how much your legal assistance is appreciated. Thank you for everything. I will recommend you to everyone!! Your whole office is fabulous. I and my husband and family would very much like to thank you for all your help, understanding, and thoughtfulness to us during our financial crisis. It is our pleasure to know you and to have received your help. Thank you so much for your time today. I’ve decided that I would like to have you represent me; I see no reason to wait. I was impressed! Thank you and your law office, wonderful people. Everyone was always kind and helpful whenever I called. I always knew what was going on with my legal case. Thank you to Ron, Sr. and his staff for helping me through this difficult time. We are most satisfied with everything your law firm has done for us. Keep up the excellent representation your firm provides. I’ve never done this before and you made it so much better for me. Everything done was always done with putting our needs/concerns as a priority! Thank you for the last 13 long years and for giving us the best results possible! Kathy represented me years ago when I got divorced. I had to go back to court for minor matter, and considered representing myself; I didn't want the expense of hiring a lawyer. I called Kathy, she recommended their a-la-carte services, where she would basically help me on a limited support basis. Thank God I did this!! Kathy reviewed all my forms and made many suggestions / updates. Without her help I would have had to re-file. She then walked me thru the process, prepared me for what to expect, warned me of pitfalls, etc. I was then able to represent myself effectively and confidently. The limited fees that I paid were well worth it; they saved me time and money. I recommend having her and her team review all situations and documents, especially financial docs, or issues involving kids. The process is confusing and overwealming, and she is truly an expert. Thank you again, Kathy!!! Kathy has been my attorney for many years with regard to an ongoing alimony/child support issue. She makes sure I understand all options available to me at each juncture in the process. Kathy has always worked collaboratively with me to make decisions and guide me through the process. I believe Kathy to be very smart and knowledgeable about the law and grounded with common sense which enables her to relate on different levels to different people as circumstance dictates. I have recommended Kathy to friends and acquaintances in the past and will continue to do so. From the initial consultation until the final disposition of the case Kathy Boufford kept my totally updated and, I believe, brought about the best possible result for me. I absolutely thank her for her work and would, though I hope it never comes to pass, use her and her firm again. Kathy presents as an extremely experienced, knowledgeable and collected attorney. During a chaotic and stressful life event, having level-headed, calm, non-reactionary legal representation can make all the difference, and Kathy exemplified this. Kathy also has the ability to grasp more unique situations and more complex financial scenarios quickly, and integrate them into her overall strategy to secure as good an outcome as possible. I would say the only criticism would be one that is likely true of most successful attorneys, and that is she was sometimes less accessible than I would've liked. However, there was never a time that she didn't respond to me in a realistically timely fashion. Kathy has been wonderful. She has always advised me well, explained things thoroughly, and prepared me for what I could expect in court. I have always felt she is incredibly ethical, and very understanding and compassionate. I appreciate that she usually warns me about the worst case scenario, but also explains what we are hoping for, so I am prepared for either. 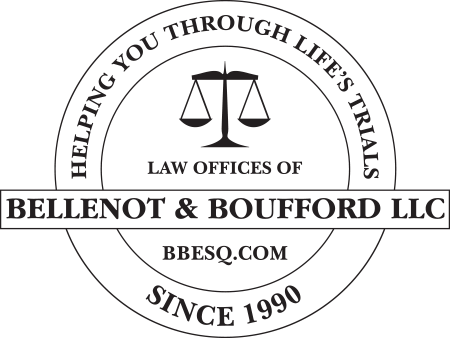 I've been with Attorney Boufford for 12 years!! I came to her back in 2004 because the attorney I had at that time was taking me for a ride!! I was so pleased with her I hired her on the spot and never looked back!! I highly recommend her!!! She gets things done! I'm a firm believer you get what you pay for and she's worth every cent! Kathy Boufford represented me when a modification had to be made to my divorce agreement and presented to the judge. She was highly recommended to me by several people and now I know why! She is intelligent, patient and very knowledgeable with the law and interpersonal matters. I highly recommend her. Kathy Boufford provided excellent service as a Mediator in our case. Her extensive knowledge and comprehensive attention to detail allowed an extremely harrowing and distressful situation to be managed with great efficiency. It was a great comfort to have the case in her hands. I would recommend her, and her team, to anyone with the need for legal counsel. I had an injury at work and while they paid for all the medical costs my doctor recommended that I speak with a lawyer. I was hesitant because I felt like I was being treated fairly by work and it seemed like a fairly open and shut case. I, however, hired Kathy Boufford after meeting with her. Kathy and her team worked very diligent on my case and kept me up to date with everything. Before hiring Kathy I had to call the worker’s comp office myself and speak with them about any issues but after I hired them they did it all for me. They also reviewed everything to make sure that I received all the benefits I was due. It really put my mind at ease to have that help especially since I was dealing with trying to heal after multiple surgeries. During the hearing of the case I was very grateful to have an attorney to walk me through all of the legal parts and be there as I spoke with the judge to help me make the right decisions. I also (despite it being a worker’s comp case and it being a set settlement amount) got a better settlement amount than what the guidelines were. I believe this was due to having a lawyer and the company just didn’t want to go back and forth so they put a higher number on it. If anyone is debating whether or not to get a lawyer for a worker’s comp case I highly recommend Kathy! My case took a few years and she made sure I was comfortable with every aspect of the case before I closed it out. Kathy and her team were wonderful and I am so thankful I made the decision to work with them! Kathy helped me through a difficult divorce. I always felt empowered and more confident after speaking with her and she never made me feel like my feelings or concerns were trivial. She was compassionate but also very honest regarding all likely outcomes. She was strong when it was hard for me to be strong. I am so grateful that I had her on my side during my divorce.